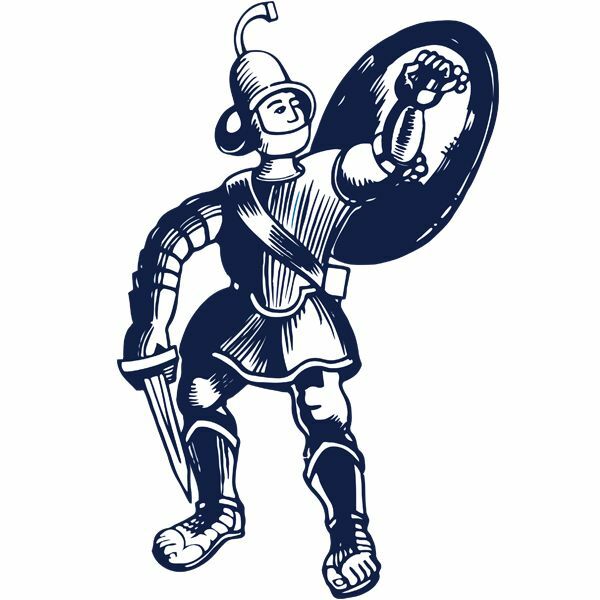 The Gladiators recovered from the shock of falling behind midway through the second half to find a quick equaliser and then a late winner to edge through to a Derbyshire Senior Cup semi final home clash with either Alfreton Town or Buxton. George Milner’s 64th minute goal looked to have given a hard working, resilient and at times a more assertive Belper side a place in the last four but a cracking Luke Hinsley finish had Matlock on equal terms just four minutes later before Marcus Marshall’s shot found its way past Leigh Overton with only three minutes left. It was hard on Belper but in cup football merely getting through is the main objective no matter how well or not so well you play. At no time did Matlock establish any supremacy in a tight, nervous tussle that could have gone either way. The Gladiators and their fans were relieved to make the last four and they owed a debt of gratitude to second string goalkeeper Jordan Pierrepont who pulled off two crucial, outstanding saves with the tie locked at 1-1. Matlock made four changes to the starting line up in Saturday’s 5-0 drubbing at South Shields. The injured Ross Durrant was replaced by Pierrepont while injuries to Adam Yates and Nathan Whitehead, plus having Michael Hollingsworth delayed in heavy traffic saw Tom Davie. Lee Beevers and Jamie Jackson recalled, Beevers being a late inclusion after Whitehead broke down in the warm up. Belper included two former Gladiators in Alex Peterson and Craig Nelthorpe, being managed by former Matlock assistant boss Grant Black and striker Micky Norbury as his number two. Their starting line up was unchanged from their weekend win at Carlton Town. The Nailers, one tier below Matlock in the pyramid, might have drawn first blood in only 2 minutes when Milner broke clear but Pierrepont made a positive start to his excellent night’s work by diving at Milner’s feet in the nick of time. Nelthorpe shot too high from eighteen yards before for Matlock, Craig King’s effort was charged down and the resultant cross was too far from Jackson out on the right. Long range strikes from both Cleveland Taylor and Brad Beatson whistled narrowly over and wide respectively while Belper’s Pietu Crouz, whose pace and trickery caused Matlock a host of problems, cut in to fire horribly wide soon afterwards. Nathan Curtis then nodded a centre from the left by Cameron Clark harmlessly past Pierrepont’s right hand post. Dwayne Wiley screwed a miscued shot wide before the Gladiators came within a few inches of taking a 43rd minute lead as quiet Jackson showed a burst of electric space to cut the ball back from the right and Westcarr’s shot looked to be creeping just inside a post until being hoofed clear by Nailers skipper Danny South. The half ended with Pierrepont slapping away a Nathan Curtis strike for an unproductive corner. Craig Westcarr had a frustrating night not helped when he could only shoot tamely at Overton when played clear in the 52nd minute. Marshall was halted in the follow up but King was scythed down by South who received the only caution of the contest, Overton gathering Westcarr’s low accurate strike with comfort. King, on the run then fired past the near post. Crouz, not for the first time, sprinted down the left to whack a teasing low cross along the Gladiators six yard line and shortly after the hosts had made two quick substitutions, including the important introduction of Hinsley, Crouz was at the heart of Belper going in front as he beat Beevers on the right and his low cross was forced home from close range by MILNER. A shock looked on the cards, but HINSLEY had other ideas, latching on to Wiley’s head down from a Davie cross to smash a sensational twelve yards volley just under the bar and into the top corner. It was a finish that the likes of Alan Shearer and Ruud Van Nistleroy would have been proud of! Now it was game on and Belper had a purple spell of pressure from which they should have won the tie. Nelthorpe, well placed saw his strike deflect over the bar off a home defender before he had an even better chance, running clear but Pierrepont was out in a flash to block his shot. The teenage goalkeeper then saved his side again with another excellent stop to deny Milner his second goal. Matlock made Belper pay dearly for those misses as King’s delightful pass released MARSHALL whose low shot reared up past Overton to find the net with a defender also looking to have helped the ball on its route to the target. It was rather fortunate victory for Matlock which might have been a little more clear cut scoreline wise in stoppage time when from a fabulous chance, Hinsley’s shot was blocked and Marshall was squeezed away from applying the finishing touch. 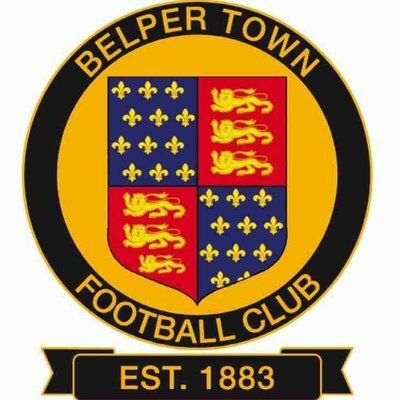 Belper could not muster anything further in reply but had shown enough in a gallant defeat to suggest they are play off material in Evo-Stik First Division East. From the Matlock viewpoint, it was important to win after Saturday’s heavy loss, to grab the victory without playing anywhere near their capabilities is a good sign. It shows there is plenty of spirit and dogged determination in their ranks.